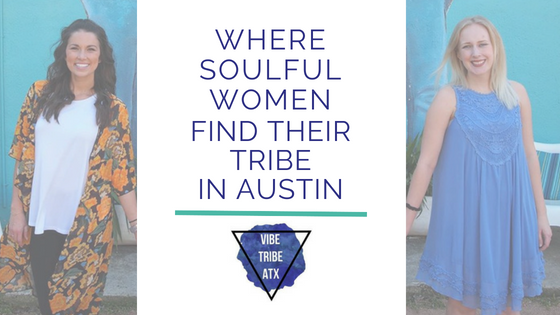 We are excited to feature Austin counselors and founders of Vibe Tribe ATX, Alyssa Cornett, LMFT and Sara Paules, LPC. Sara and Alyssa created Vibe Tribe ATX out of their shared passion for helping women build community. 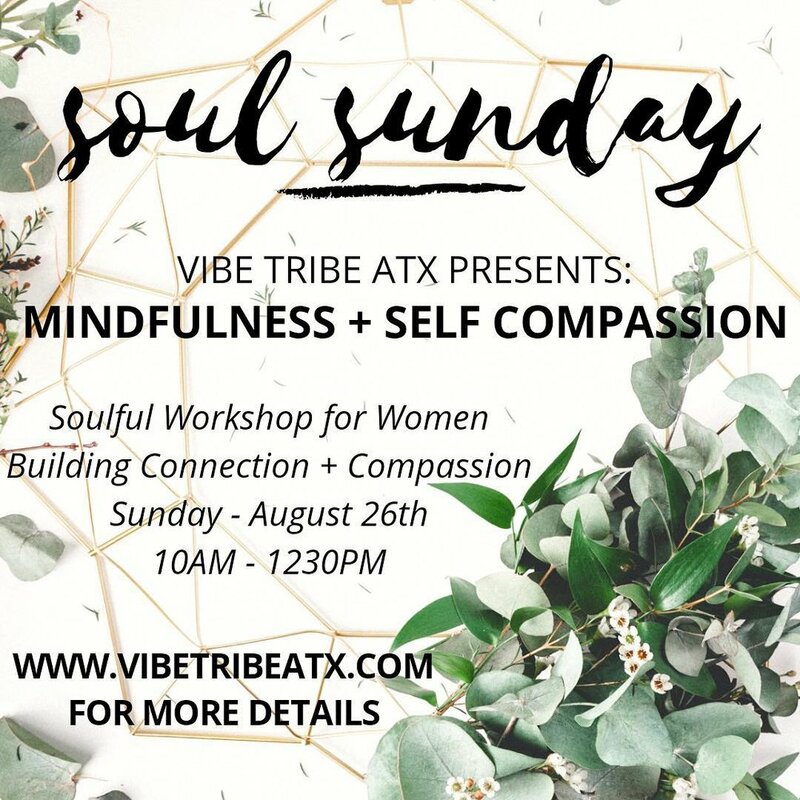 Vibe Tribe ATX is reaching the community through a six-part workshop series called Soul Sunday. The workshops are a safe space for soulful women to come and experience authentic support and engage in insightful discussions about real life issues while building deep relationships with each other. The next Soul Sunday, Mindfulness + Self Compassion, is coming up next week, and the last two workshops for the year will explore healing from trauma/difficult life experiences, as well as creating boundaries and good communication skills with difficult people. Register for Mindfulness + Self Compassion here! 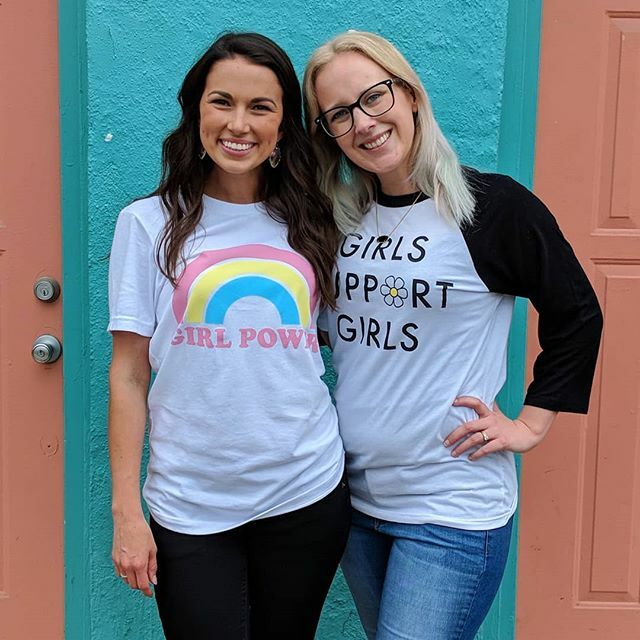 Keep reading to find out more about Sara and Alyssa's counseling and therapy practices and their work with Vibe Tribe ATX. Alyssa: I'm a Licensed Marriage and Family Therapist specializing in relationship coaching and couples counseling. I help individuals and couples journey through their interpersonal and relational challenges to build healthier, happier, more fulfilling lifestyles and relationships. I find so much joy in helping others build confidence and competency to reach for the life they've envisioned! Sara: I'm a mindfulness-based Licensed Professional Counselor & EMDR therapist, and I work primarily with women who are struggling with depression, body image, bipolar disorder, sexual trauma and suicidality. Clients tend to describe me as compassionate, kind, relatable, and direct in my approach... and a little bit goofy. How can people benefit from what you offer? Alyssa: Many people wait to come to counseling until they are in a space of heightened distress, but I encourage people to seek support at ANY time in their lives. My clients benefit from building a healthier sense of self and in turn strengthening the relationship with themselves, others and their passions! Sara: Some of our life events & stories can be difficult to relive and talk about. I believe that each time we tell our stories to a compassionate listener, we take back a little more of our power & control. I help women in therapy to heal past traumas so they can feel happier and more empowered in their lives. Alyssa: When I'm not in the therapy office, you can find me doing anything outside, hiking the greenbelt, enjoying some delicious yums on a patio, traveling and adventuring anywhere and everywhere I can (local and afar! ), or sipping some coffee while reading a good book. Sara: When I'm not in my therapist chair, I enjoy spending time with my family, cooking new recipes, gardening, meditation, yoga, staying inside to read a good book, getting some more acupuncture in (one of my favorite self-care activities), smudging everything around me, finding new crystals at Nature's Treasures… and admittedly, watching a little bit of trashy reality TV on the DL from time to time. What’s been your favorite part so far about working in your field? Alyssa: Watching my clients find the courage and strength to discover their most authentic selves is by far my favorite! The journey looks different for everyone, but getting to share in my clients personal experience with it is the best part of the therapeutic process! Sara: Seeing my clients come in each week and work so hard to heal, even when they don't feel like it. I learn so much from my clients about the power of human resiliency and strength after going through difficult situations. What can people expect from working with you? Alyssa: I offer individual therapy, couples counseling, and relationship coaching for individuals and couples at any stage of their life and/or relationship. I focus on helping individuals and couples strengthen their connections, deepen their passion and enhance their lives in a more fulfilling and meaningful way! Our work together is goal-oriented and systems based - I help my clients establish a direction and encourage growth through exploration, attentiveness, and action! Together we identify and address challenges in order to establish a greater sense of fulfillment and transformation. Sara: In my own practice, I offer individual therapy and EMDR for individuals struggling with trauma, depression, bipolar disorder, body image and suicidality. 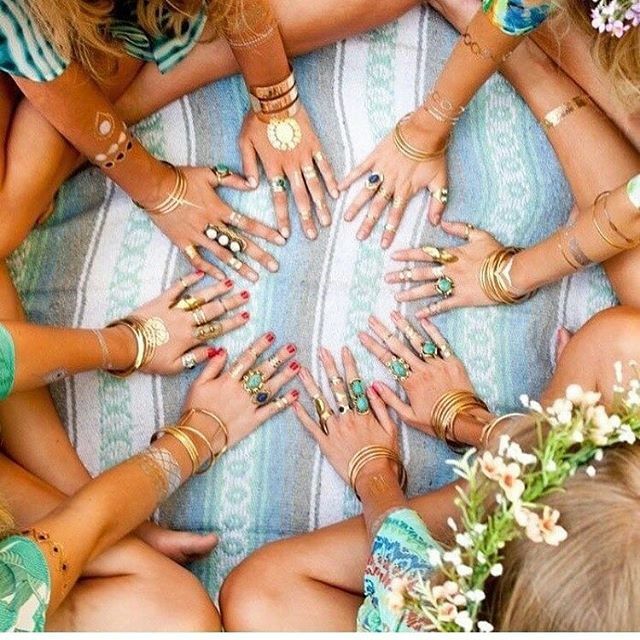 Tell us about your journey in creating Vibe Tribe ATX! Alyssa: Sara and I were so connected by the idea of bringing together a community of empowered women. We wanted to reignite an excitement to create and connect with others while also diving deeper into a more genuine sense of self. We decided that we wanted to help women do this by creating a safe space for soulful, insightful, supportive and authentic discussions with others through Soul Sunday. Sara: I just remember sitting in on so many empowering and enlightening consultation groups for therapists and thinking, "These soul-filling, nourishing conversations need to be had with other women who aren't in our field.” Alyssa and I both had a similar vision of providing a space for women to come together in community to discuss some of life's most difficult topics, such as self care, relationships, trauma, depression and boundaries. Why is it important for you to cultivate a community like Vibe Tribe ATX? Alyssa: There just aren't enough judgement free zones for women to create authentic conversations and connections. Vibe Tribe gives them the space and freedom to thrive! Sara: Women are expected to look, act, and be perfect starting from birth. It's so important that women have these types of safe communities where they can openly talk about important conversations without judgment. We love to connect! Coffee, questions, connections, let's do it!